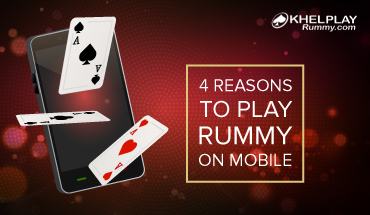 Rummy is a game of skill that revolves around executing the right strategy at the right time. As the tricks keep growing from granular to advanced levels, let us have a quick discussion on some rummy tricks to win the game as a beginner. 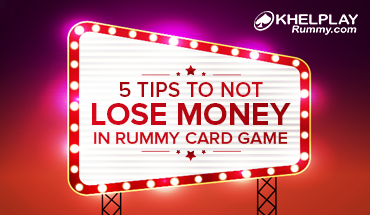 Your primary objective while playing rummy is to put (or meld) your cards into two types of combinations – Runs or Sets. Runs are consecutive sequences of 3 or more cards belonging to the same suit. The valid order being A-2-3-4-5-6-7-8-9-10-J-Q-K-A. Thus with ace, you can form the run A -2 -3 or Q-K-A, but you cannot form K-A-2. Whereas, sets or books are 3 or more cards of the different suits, but the same rank. If you are playing with 2 decks, you may form a set including two identical cards of the same rank and suit. For example 4-4-4 and Q-Q-Q are valid sets. A set cannot have two or more cards of the same rank thus 4-4-4 and Q-Q-Q are invalid sets. A set may include a joker as a substitute, for example, Joker -4-4 and Q-Q- Joker. A run that is formed without using a joker is called a pure run, straight run, or natural run. Examples of valid runs are 4-5-6 , 9-10-J, 9-10-J-Q, A-2-3-4, and 8-9-10-J-Q-K. Runs formed using a joker as a substitute for any missing card are known as non-pure runs. Examples of non-pure runs are 4-5-joker and 2-3-joker-5. In such non-pure runs, you are allowed to use only one joker, printed or wildcard. The Deal – in the beginning of the game, every player is given 13 cards face down. The next card from the deck is kept face up on the table to begin the discard pile. The remaining cards are kept face down in the middle of the table; this is known to be the stock pile. Every player has to pick his/her 13 cards to see them and then sort them as per his/her choice. Shuffle the cards properly, and place it on the table with a face down. Each player has to pick a random card to decide who would be dealing the cards. This is called toss. The player with the highest card wins the toss, and he/she must distribute (deal) 13 cards to each player from the pile of cards placed on the table. Playing Indian Rummy – In this, the first player picks a card either from the top of the discard pile or from the top of the stock pile. The top card of the discard pile is placed face up to allow the player to figure out if he/she requires this card or not. If the players has decided not to pick the discard card, then he/she has to pick face down card from the stock pile. This will leave the player with 14 cards in hand. The player needs to examine the 14 cards and identify the least important one. The player can place the least important card face up on the discard pile. This card now becomes the top card of the discard pile. Now it is the turn of the next player to pick a card either from the discard pile or from the stock pile. A Valid Declare – The player who manages to use all the 13 cards to form valid runs and sets can declare his/her turn. It is important that the cards meet the basic requirement of two runs, which means at least one is pure with a minimum of 3 cards. Power of the Joker: The Joker card is the game changer in rummy. The card can be used to connect the sequence and help you win the game. So, never discard a joker as it can up your winning chances. Card Arrangement: Card arrangement can be done by color or value sequence. First, have a complete idea on the cards you hold in your hands. Then strategize your game accordingly. Card Values: The cards of values 4, 5, 6, & 7 are easy to blend in the sequence unlike high-value cards like J, K, & Q. 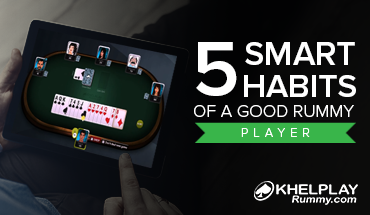 Observe Players: Always make a note of the cards that get discarded and picked by your opponents. This will help you predict the cards, and analyze and judge their further moves. Never Ever Retain: If in any game you are not able to form a sequence with the suit, discard the cards and look for better options. Always try to reduce your points by discarding the high-value cards in your suit. This will help you end up with minimum points even if you don’t manage to actually win.